These treasured words of Gandhi’s are needed now more than ever. They resonate deeply as a strong reminder to walk the talk, and that actions always speak louder than words. Right now, as we see our global political climate trending towards a more conservative and exclusive environment, the change we need to be right now is the resistance. With Donald Trump’s presidency, Brexit and Marine Le Pen’s near-success during the French election, the LGBT community’s existence is being threatened. Our brothers and sisters are being purged in Chechnya as we speak, and still our president has yet to make any formal acknowledgment of these horrific atrocities. 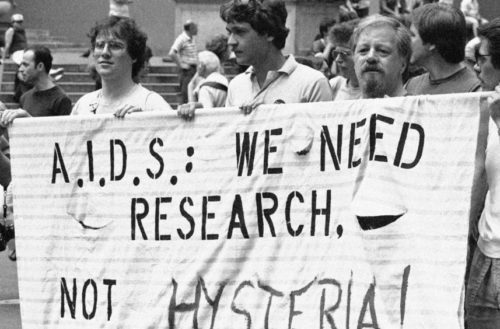 In 1981, another horrific atrocity happened to us: the AIDS epidemic. On June 5, 1981, the United States Centers for Disease Control and Prevention (CDC) issued its first warning about a relatively rare form of pneumonia among a small group of young gay men in Los Angeles. The CDC later reported an alarming occurrence of a rare cancer (Kaposi’s sarcoma) in otherwise healthy gay men. They first called the disease “gay cancer” but soon renamed it GRID (“gay-related immune deficiency”). On August 11 of that same year, a group of 80 men gathered in Larry Kramer’s living room and decided to do something. That meeting provided the foundation for what would become the Gay Men’s Health Crisis, the nation’s first group dedicated to the prevention of HIV and AIDS, and the care and advocacy for those infected. A few years later, in 1986, GMHC held the first AIDS Walk in New York; over 4,500 walkers raised $710,000. 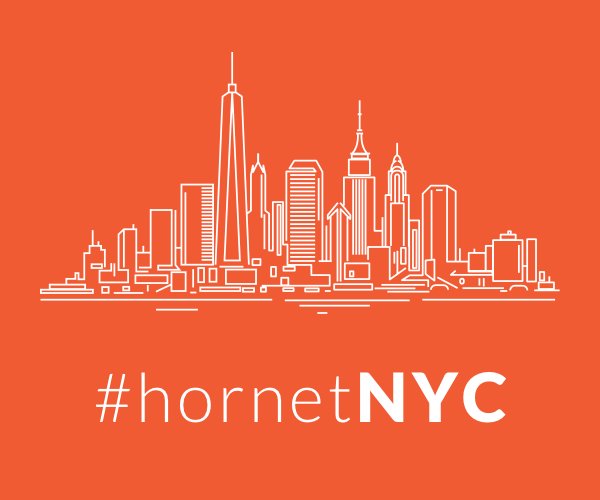 That same year, New York City’s first anonymous testing site opened probably due to the funds raised from that first walk. 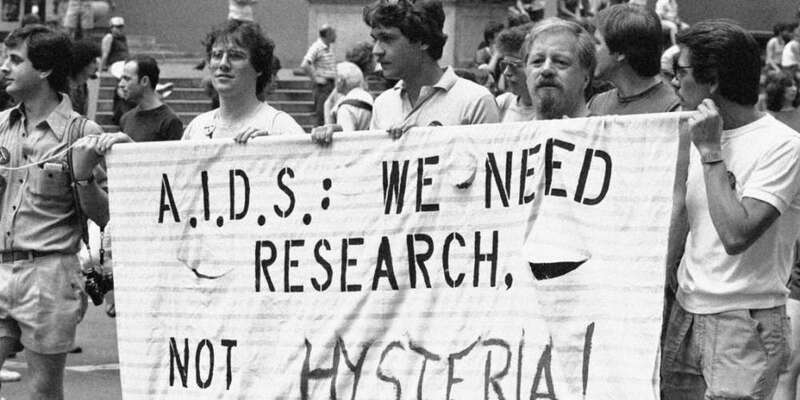 The very first AIDS Walk in the U.S. was actually staged by the AIDS Project LA in West Hollywood the year prior, a community that had won city hood the previous November. That same year, the Reagan administration urged the public not to panic since AIDS was confined to gay men and intravenous drug users. So while our government ignored us, we began resisting on our communities’ streets. As I walked in GMHC’s space recently (which is thankfully now much larger than a living room), I passed by community members in the waiting room. They were waiting for the important services GMHC has to offer. The work organizations like GMHC do is extremely important. Our health is best taken care of when we take care of each other. This helps those who may not be able to get the help they need anywhere else. This year, the AIDS Walk once again took to the streets of New York City. The energy in the air today seemed extraordinary and overtly political. Many leaders saw it as a response to the House GOP’s efforts to repeal Obamacare: a threat to the well-being of HIV and AIDS patients. Organizers estimate 20,000 people joined today’s walk. Louie says the change and tone in Washington won’t slow the group’s ambitious goals towards slowing the epidemic locally. “Our goal is the end the AIDS epidemic in New York State by 2020,” he said.